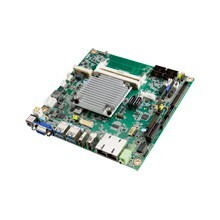 Mini-ITX Industrial Motherboard is designed with rich functionality and solid performance in a small footprint, the highly integrated Mini-ITX motherboard computer platform features low power consumption of less than 100 Watts and a single basic expansion slot. The Thin Mini-ITX series is only 25 mm in height with low power features that are ideal for universal applications. With Mini-ITX series, our users can maintain their computers’ performance with low power consumption. 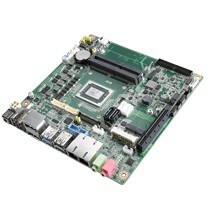 Mini-ITX Motherboard is ideal platforms for fast-emerging markets where size and power efficiency are required. 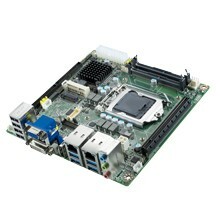 Embedded Mini-ITX, Intel LGA115x Socket, Mobile BGA and ULT Core™ I / Pentium/ Celeron Series Processor, Up to 65W TDPs.